The gym facility at Botwell Green is split on two levels: one on the ground floor and one on the first floor, linked by a staircase. Both gyms are equipped with the latest fitness equipment including: cardio machines, group cycles, Kinesis machines, free weights and pure strength machines, power plate and more. We have designed the gyms in a way that provides a positive and comfortable environment for customers and allows a full body workout without the need to go between both gyms. 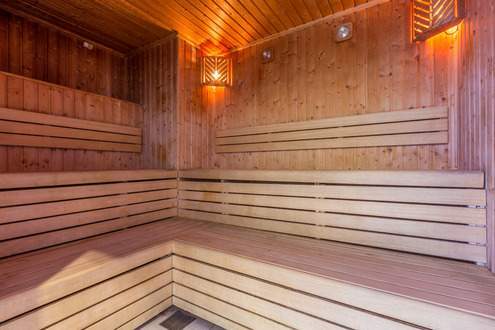 Botwell Green is equipped with a sauna to help you relax and sooth your aching muscles post workout. 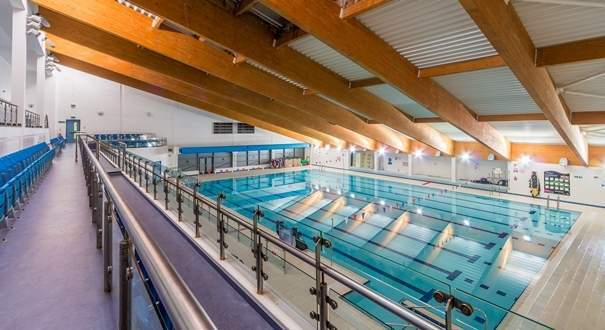 Botwell Green Sports and Leisure Centre is home to the London Borough of Hillingdon Gymnastics Club and currently has 2 world champions in the discipline of Acrobatic Gymnastics. All sessions we provide are based around the teaching of Gymnastics, these range from - Toddlers World, Gym Tots, Pre-school, Gymnastics for all and our Squads, Development, Floor & Vault, Women's Artistic, Disability and Acrobatic Gymnastics. We also host schools competitions and school sessions, as well as private bookings and birthday parties. Our Trampoline sessions are held in our sports hall. 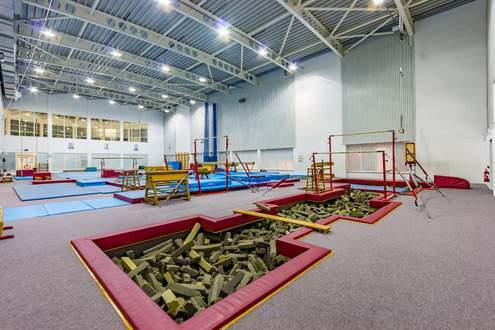 Apparatus available to participants includes, full size sprung floor, full size and trainer beams, cross box and table top vault, training vault, 2 sets of A-frame bars one over pitted area, pommel horse, parallel bars, rings. We also have full set of rhythmic hand equipment Hoops, ball, ribbons, Ropes and clubs. Full set of soft play, ball pit, climbing frame and our jungle bouncy castle. 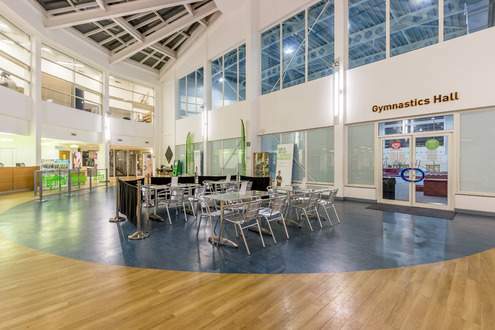 Our studio boasts a fantastic open space to take part in our fitness classes. An abundance of natural light, surround sound speaker system and temperature control makes this the perfect space for members to work out in. Equipped with steps, mats, aerobic balls, weights and more the studio is designed to give our members everything they need to get their most out of their fitness classes. Botwell Green has a four court badminton sports hall which can be used for casual bookings of badminton and table tennis. Other sports such as basketball and indoor football is also available as a block booking. 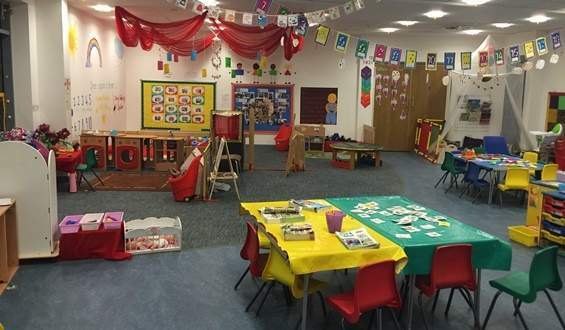 The creche is available to customers using the Centre or Library Facilities. Children aged 6 weeks to 5 years are elegible to use the creche and members who hold a monthly direct debit or annual membership receive a discounted rate for upto 2 hours a week. Monday-Friday 9.30am- 11.30am & 12.30- 3.30pm. Botwell Green Sports and Leisure Centre has an outdoor 3G Astro Turf Pitch available for general and block bookings of 5 and 9 a side football.